ArtQuench Presents Maudy Fowler and Gail Hunt – Be Inspired! …and Get ArtQuenched! the “Whispers of Angels” to assist those left behind here on earth. one person each month here at AQM. We welcome Maudy and Gail to the ArtQuench Family! Maudy Fowler is a Mystic Messenger who listens to the ‘Whispers of Angels’ and delivers messages of Hope and Healing from Loved ones that have passed to those left behind here on Earth. Maudy knew she had this amazing gift at the young age of 11. She has the ability to hear messages from Angels and even as a child began to help those around her, relaying angel messages for those seeking comfort, encouragement and hope. 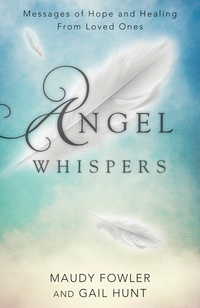 With her long-time co-author, Gail Hunt, their book, Angel Whispers, reaffirms faith and the knowledge that angels and loved ones who have passed are still with us, helping the living to navigate the trials and tribulations of life. They also have three books in Europe. 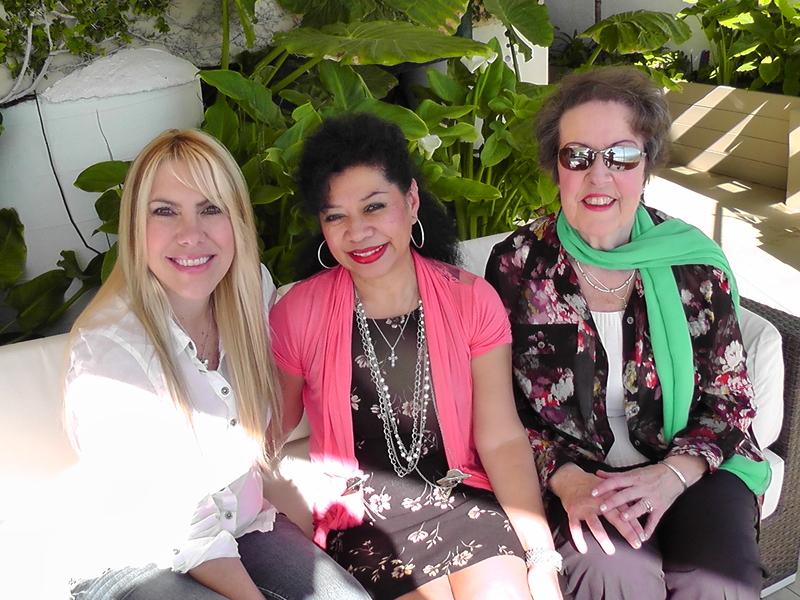 Maudy and Gail give seminars throughout the United States and Europe where they connect with gathered audiences and the angels who bring messages that help guide the living and relieve their suffering. By communicating the angels’ messages, Maudy is able to calm people in crisis, reaffirms their faith, and encourages them to move forward. Angel Whispers is Touching Hearts and Changing Lives! Maudy Fowler is a Mystic Messenger, who listens to the ‘whispers of angels’ and delivers messages of Hope and Healing from Loved ones that have passed to those left behind here on earth. from Loved Ones by Llewellyn Worldwide Publishers. We also have three books published in Europe. One of these books, entitled Heavenly Messages, won ‘The Best International/Inspirational Book of 2008’ over fellow nominees, Dr. Wayne Dyer and Deepak Chopra in Fowler’s native Holland and Belgium. Q -You say you are a Mystic…could you tell me what that means? A – As a Mystic, I have the gift of prophecy and can hear messages from loved ones in Heaven, and I refer to this as ‘Angel Whispers’. I intuitively comprehend the truths that are beyond human understanding and am an advocate for spiritual truths and am deeply aware of the powerful presence of the Divine Spirit. Q – How do you receive information? A – Your Voice, your handshake or embrace is my frequency to tune in to your loved ones in Heaven, so that they can do Heavenly work here on earth and help those that are left behind. Q – How do you differ from a psychic or medium? A – My position is to ‘listen to those in Heaven’, through ‘angel whispers’ and give the person choices that are presented to me through these whispers. I really cannot be compared to these other honorable and gifted people, I am simply here to assist people left behind. Psychics are sensitive to the non-physical, supernatural forces and influences, marked by extraordinary perception or understanding. Mediums communicate directly with those who have passed. Everyone who has this gift is slightly different. The goal of Maudy and me is to get everyone in touch with their own Spirituality so that they can take care of themselves first, and then pay it forward in society. Maudy is here to relieve hardship and to touch hearts and lives. We hope that you take the opportunity to purchase our new book: Angel Whispers, and bring in this new year with a renewed YOU! Special Notations: Maudy Fowler and Gail Hunt won the prestigious award of “The Best International/Inspirational Authors of 2008” for their book Heavenly Messages in Holland and Belgium along side fellow nominees Deepak Chopra and Dr. Wayne Dyer. 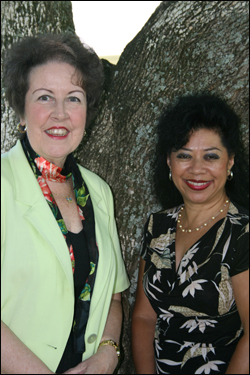 They have had a weekly internet radio program on LATalk Radio, “With Love, Maudy & Gail” and guests on WBT talk radio and Dr. Leslie, WGIV – FM 103.3, in Charlotte. Also guests on the Toni & Griff Radio Show, in Atlanta, Georgia, WWWE – AM 1100 and guest spots on KFBB TV (CBS) and KRTV (NBC) in Great Falls, Montana, plus on the Marla Maples Radio Show in California. Their empowerment and motivational presentations, based upon their award winning book, assists each person to go forward and renew their spirit. NBC staff ;Compassionate Friends; Hospice Volunteers; Group Home Settings for Boys; Psychologist, Psychiatrists and other people in the medical field; Civic groups; Law Enforcement; Alcohol Anonymous Groups; Teachers; Caregivers: The Charlotte Optimist Club; Children presentation Gr. 1-6 – “Use your Imagination To be you” They also give motivational presentations to business personnel: “The Power of Positive thinking…on the job and beyond.” Plus Hotel Presentations and Home Presentations upon request. Their workshops include: Angels – presentation to 600 people in Amsterdam, The Netherlands at the Rai; Empowerment of you – presentation to 500 people in Amsterdam at the Krasnopolsky Hotel; Spiritual Escape to Get in Shape– a self empowerment workshop for self-realization using art; The interpretation of Dreams – also using art. Workshops in New York, New Jersey, California, Arizona, North Carolina and Europe. Maudy was born in The Netherlands and settled in North Carolina with her family. She is a Mystic Messenger, who listens to the ‘whispers of angels’, and provides people with choices and information through Angel Whispers. With Heaven’s approval, the messages are delivered from loved ones whom have passed to assist the ones left behind. She has the gift of prophecy. Her mother was also gifted with the gift of healing and prophecy. Maudy won a literary contest for Outstanding Achievement and Accomplishment for Women’s History Month in Oklahoma. She has been on Television in Holland on SBS-6 and RTL-4, which is John De Mol’s network. Gail was born in New England and moved to North Carolina with her family. She met Maudy on July 26, 2000. 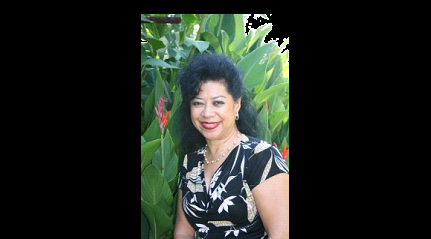 She is co-author of books with Maudy. Further, she has produced award-winning videos, an avid photographer, and artist. Gail was Director Of Telecommunications for the Diocese of Charlotte and has given motivational presentations to various groups – some are; A National Media Literacy group at UCLA, California; In-service session for Teachers, Diocese of Pittsburgh; and a National Gathering of Educators in Minneapolis, Minnesota. Next Post: ArtQuench Shares an Amazing Video! Hello and I wanted to say Thank you for Liking my posts. Nice to meet you. Those shoes made of cake is cool:).